This year, our Transatlantic Media Fellows traveled to Spain and North Africa to report on migrants trying to reach Europe. The arrival of almost 1.8 million migrants into Europe since 2015 sparked a political crisis that continues to rattle the European Union (EU). 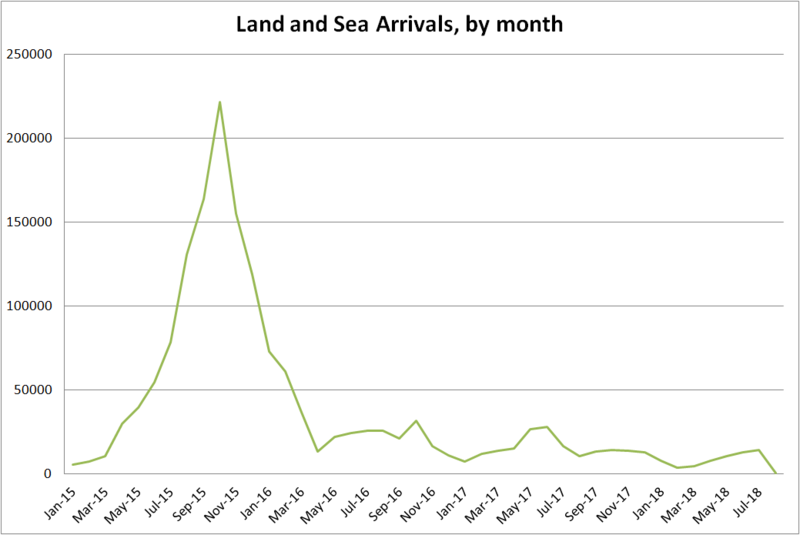 Although arrivals to Europe began to increase in 2011 in part due to unrest after the Arab Spring and the onset of the Syrian War, it did not become a major focus of the EU policy agenda until 2015. In April of that year, over 600 people died when a ship attempting to cross the Mediterranean from Libya capsized – by far the deadliest single incident to date. Shocked into action, European leaders responded by holding an emergency summit. Amid calls for solidarity, various bodies of the EU proposed policies that aimed to bolster rescue operations and reduce the burden on Italy and Greece, the two main points of entry which, as outlined by the Dublin Regulation, were responsible for processing the majority of asylum applications. Asylum seekers are persons who have fled their country of origin due to a “well-founded fear” of persecution on grounds of “race, religion, nationality, membership of a particular social group, or political opinion.” They are seeking international protection in another country under the 1951 Refugee Convention on the Status of Refugees (Geneva Convention). Their claims have not yet been approved by the country to which they applied. The Geneva Convention is limited in scope, leading some regions, such as Latin America and Africa, to adopt their own regional declarations conferring refugee status to people not covered under the Geneva Convention. Refugees have been granted asylum in a country outside of their country of origin or have been recognized as refugees by UNHCR. Though the terms asylum-seeker and refugee have distinct legal definitions, they are often used interchangeably in colloquial speech. Migrants are persons who leave their home country for a wide variety of reasons. This term also covers people who are not protected by the Geneva Convention or other international frameworks, such as people fleeing war, the effects of climate change, and extreme poverty – though individual countries may confer rights to these groups. The current Dublin Regulation is a European Union law that entered into force in July 2013. It is often referred to as Dublin III, as it is the third version of the law. It sets the criteria for which EU member states are responsible for handling asylum applications. The state through which an asylum seeker first entered the EU is responsible for examining the asylum applications. Because of the EU’s geography, this has historically made Greece and Italy primarily responsible for asylum processing. Asylum seekers must remain in the country of entry while their application is being processed. Asylum seekers who apply for asylum in another EU member state can be returned to the first country of entry. As of June 2018, proposals to reform Dublin have stalled. Between August and December of 2015, thousands of refugees and migrants arrived in Europe every day, risking their lives on the dangerous sea routes across the Mediterranean or walking thousands of miles to the EU’s southeastern borders. The rapid spike in arrivals dashed any semblance of unity between the EU member states. Some countries took a humanitarian approach and welcomed large numbers of asylum-seekers. Germany, for example, suspended the Dublin Regulation for Syrians in August 2015. Others, such as the UK and France, were more reluctant and accepted fewer people. Some Central and Eastern European countries, most notably Hungary and Poland, quickly adopted restrictive measures. Mismanagement at the national level, combined with the inability of the EU institutions to agree on fair distribution systems, led the goodwill towards refugees and migrants to sour, even in initially friendly countries like Germany. Terrorist attacks, such as those in Paris in November 2015 – though often perpetrated by European nationals – also pushed public opinion against refugees and migrants. This culminated in the signing of the EU-Turkey deal in March 2016. The arrangement with Turkey alongside bilateral agreements between European and African countries, namely those between Libya and Italy as well as Libya and France, has contributed to the considerable decline in refugees and migrants reaching Europe. Even as the number of arrivals returns to pre-2015 levels, migration still shapes much the European political debate and policy agenda. Proposals to reform the common European asylum and migration policy have so far gained little traction. 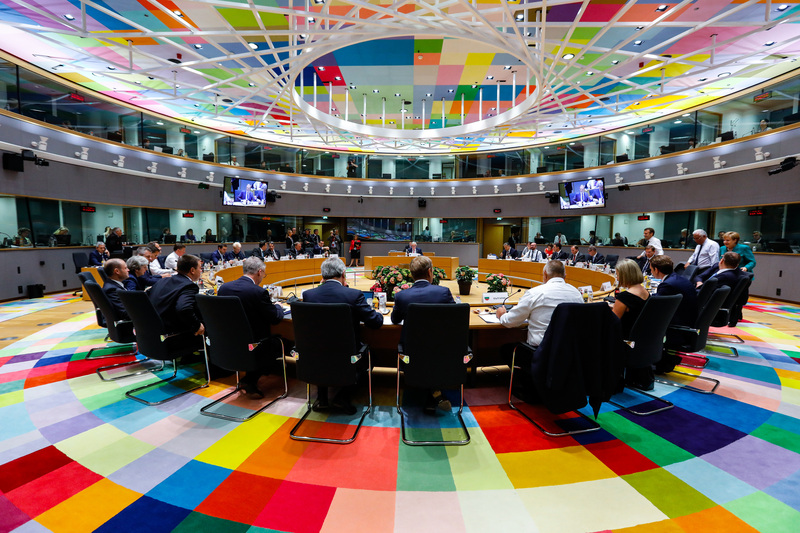 Even the most recent European summit on migration, held in June 2018, resulted in an official agreement that lacks concrete details for reform. Turkish and EU leaders signed the deal on March 18, 2016. As of March 20, 2016, all new arrivals coming to Greece from Turkey could be returned to Turkey if they do not qualify for asylum or if they arrived from a “safe third country.” Some member states have their own lists of safe third countries, and there is no common European list. For every Syrian being returned to Turkey, another Syrian will be resettled from Turkey to the EU. As of March 2018, 12,476 Syrians have been resettled from Turkey to EU member states. 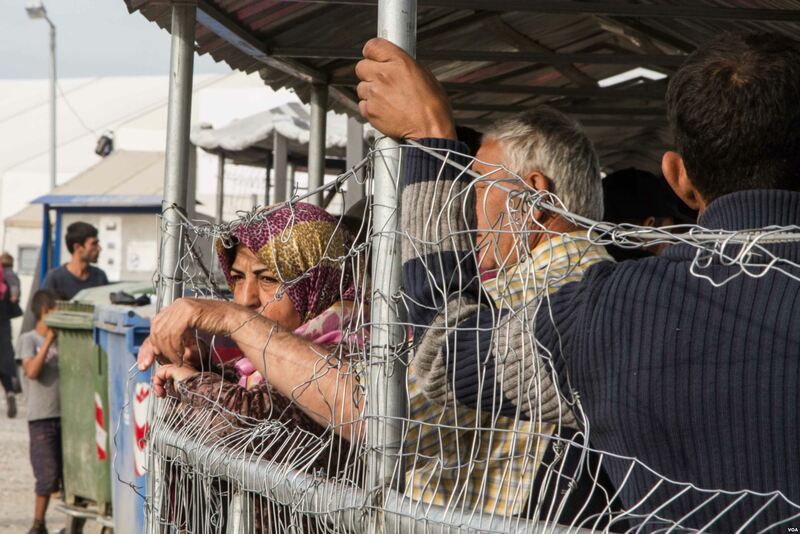 The EU promised a total of €6 billion in aid to Turkey to support services for asylum seekers. This will be distributed in two installments of €3 billion. As of June 2018, €1.94 billion had been disbursed. The EU promised to accelerate the visa liberalization process for Turkish citizens to travel to Europe and renewed its commitment to negotiations on a common EU-Turkey customs union and Turkey’s accession to the EU. All three processes stalled within a year of the agreement. As the EU works to implement these policies to better manage irregular migration, the conditions pushing people to migrate – including conflict, poverty, and environmental degradation – have not improved. As a result, many refugees and migrants continue their attempts to cross the Mediterranean. With the EU-Turkey Deal effectively blocking the eastern route and increased efforts by European and Libyan forces to crack down on migrant smugglers, the primary route to Europe has recently shifted further west towards Spain. The recent election of a right-wing government in Italy, which has closed ports to immigrants, has also made Spain and its new Socialist government appear more welcoming to refugees and migrants. Yet in Spain too, tensions have begun to rise. “Controlled centers” will be set up inside EU member states on a voluntary basis to screen migrants and process asylum applications. No member state has agreed to host such a center yet. Similar centers called “regional disembarkation platforms” will be established outside the EU’s borders in “relevant third countries,” such as those in North Africa, pending negotiations with such countries. Migrants rescued at sea would be taken to these facilities. Member states will take all legislative and administrative resources necessary to prevent asylum seekers from moving within the EU.